I'm in a dolls house miniature mood at the moment so apologise for yet another collection of tutorials on the subject! I am making a stew for our dinner tonight so was inspired to put together a collection of tutorials for stews and soups to make with your polymer clay. 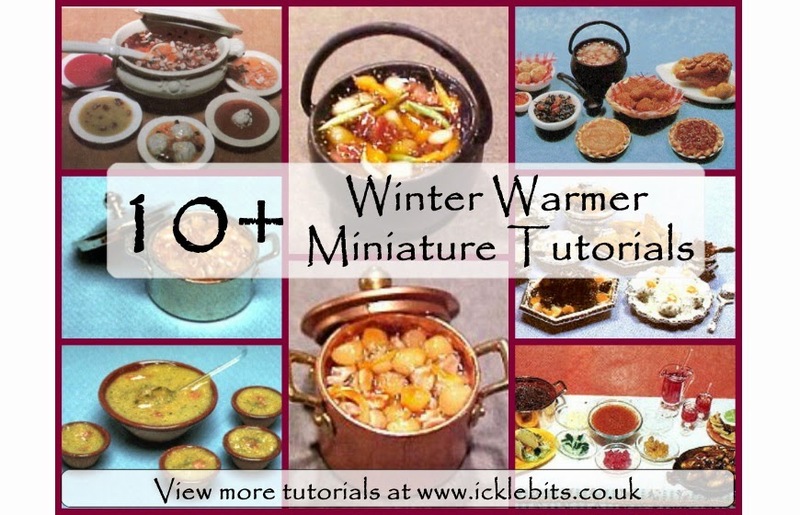 Please click here to view the article on the website: Tutorial: 10+ Dolls House Miniature Winter Warmers.